Happy Wedding Wednesday Y'all! I am actually attending the wedding of a good friend today (to be featured next week) but in the meantime Mary (who previously blogged about Hen Parties) is back! She's now married and looking at the best options for all those beautiful pictures. You can read all about her wedding here. Your wedding is one of the biggest and most exciting days of your life and one you will never want to forget. You need an album that represents your photos the way your wedding was represented. Although it can be a difficult task having to go through hundreds of wonderful photos to only be able to pick a few for your wedding album, there are now more than one way to make those memories last without feeling limited. Your photographer may give you ‘proofs’ of your photos and from there you’re able to choose your favourites and put them aside. This task takes an average of six hours, so sit down with a cup of tea and take your time. You want your wedding album to tell the story of your wedding so once you have chosen your best photos apply them into chronological order, this way you’re able to relive each moment without flicking back and forth between parts of the day. 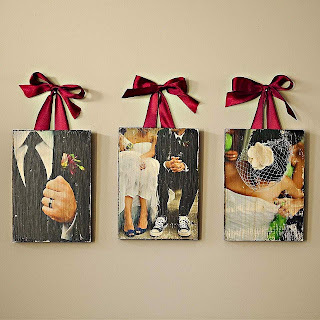 Another idea which you can use in your wedding album is actually adding pictures from before your wedding. For example pictures of your engagement, your favourite holidays together and other memorable events. Start from the very first picture from when you were together and lead up to your wedding. I love this idea as you’re able to view the most special events in one place. Next is the fun part where you decide upon your album! A really new modern way of storing and holding your wedding photos is on a USB device. By using a USB you’re able to have full control over all of your photos, and this may be a cheaper option too if you want to get some extra photos printed for friends and family. You’re able to do it independently which could be considerably cheaper than photographer’s prices. You also have the option to upload them straight onto your computer, enabling you to share them much easier online. With USB sticks at such a cheap price now you could even create an album on the USB to send to distant relatives. A traditional album is usually made from material such as leather, faux leather and suede. With the traditional albums you’re able to fix in your photos individually and exactly how you want. You’re really able to personalise this albums and that last a long time too. If you’re looking to try something a bit more adventurous have a look at fabric style albums, you could even try to match the fabric to the materiel of your own dress; this will add a real personal touch. 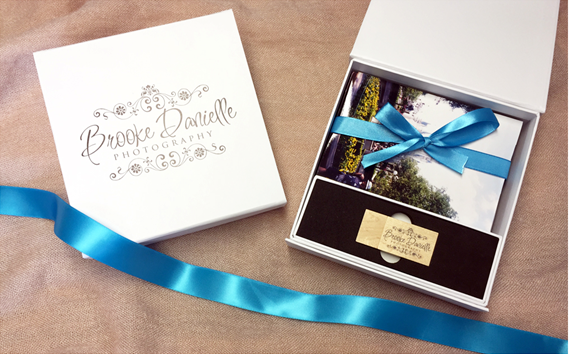 Making it into a scrap book style album is also a touch that makes it feel like a true homage to the day, with the invitation added in and any other pieces that you’ve kept at memento’s. This is another new modern way of showing your wedding photos and as you’re probably able to tell by the name it is in the style of a magazine with glossy pages and your photos already printed on in the order in which you wish. There are many designs which you can decide upon for this album and you’re really able to play around with it and make it your like your own copy of Hello magazine. Have a search around on the internet for different companies that can do this for you and find the cheapest one, I’ve found many online such as muujee which have really beautiful designs. And these can be really gorgeous gifts to any special wedding attendees. A little idea which I think is lovely to add writing from your family and friends into your album. Ask them to write in a section under a photo that is relevant how they were feeling at that particular moment in time. This adds a huge personal touch to the album and helps to create a mirroring feeling of your special day. Did you know you’re able to get your photos printed onto marshmallows? 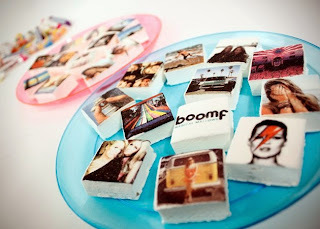 It might not be a practical idea to create a wedding album out of marshmallows but could be a great idea to give to bridesmaids as a thank you gift. A popular way to view your photos is to get them printed onto canvases or put into picture frames around your house so you’re able to view them at ease. Nothing makes your house feel like home than adding some of those most magical, loving memories to your home. 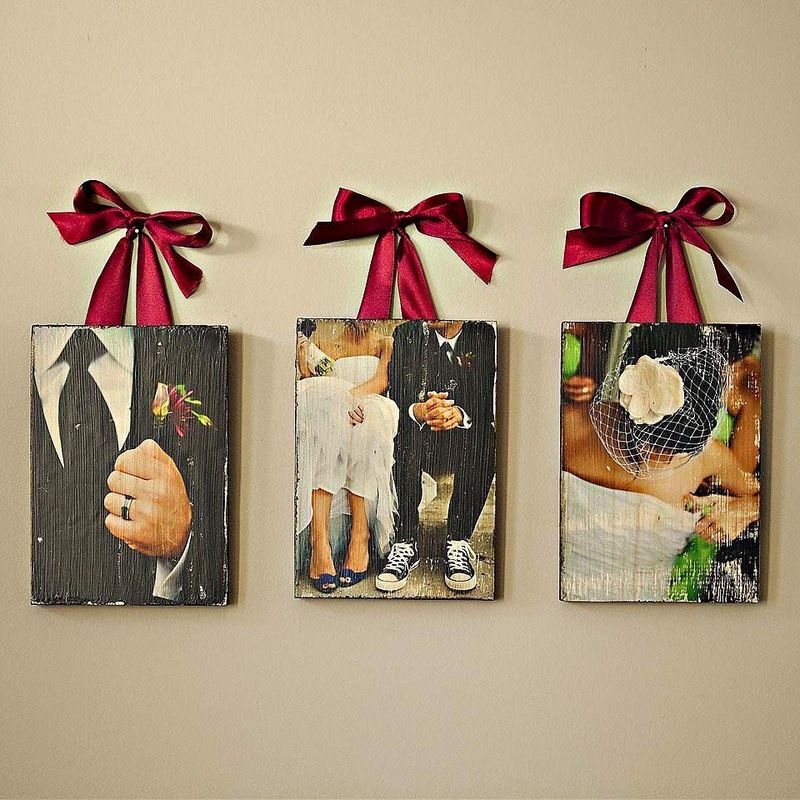 If you don’t like the idea of canvas and prefer something a little more vintage looking, wooden photoboards make an everlasting memory which can also highlight the style of your wedding day. From adding coloured ribbon with the theme of your wedding, to picking more unusual images that can provide an alternative view to the day. With so many options now available take you time and have fun, these are your forever moments. Thank you so much for sharing, Mary. How cute are those photoboards? Definitely pinning that idea for our photos! What did you do with your wedding photos?